The entry-level Specialized Rockhopper gets a lightweight A1 aluminium frame with sculpted tubes and a similar profile to the company’s high-end race bikes. It even sports a tapered head tube for improved steering precision, but the budget doesn’t stretch to the corresponding fork steerer — but you could upgrade it later. The Specialized felt like an efficient mile-muncher. The stretched riding position, lightweight 29er wheels and stiff frame means climbs are dispatched efficiently and boring stretches disappear beneath your wheels. It’s a very different story on descents. The Specialized Rockhopper felt nervous and sketchy, which we could handle from a climb-focused XC race bike if it didn’t also feel laboured and sluggish. 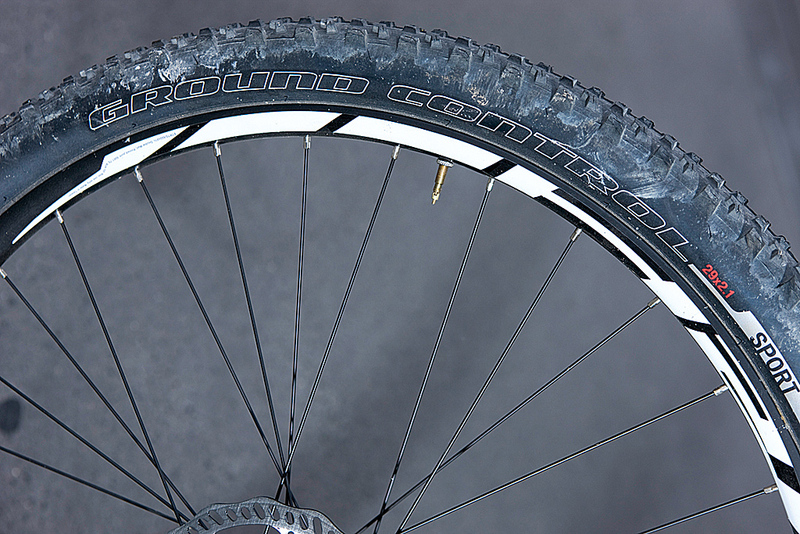 We couldn’t put our finger on what was making the Rockhopper feel so slow. It didn’t carry speed or inspire confidence like the Lapierre or VooDoo. In fact, it felt like we were descending into a headwind; we even stopped mid-run to check that the Tektro disc brakes weren’t dragging (they weren’t). Also, the brake levers do not have reach adjustment, so if you have small hands you’ll struggle. They are plenty powerful enough, though, even if they lack the lever feel and modulation of the Shimano units. Specialized always puts together a competitive package. The components are all first rate, and the fork works really well, but we felt the attitude and possibly the sizing are too XC race focused, robbing the Rockhopper of fun factor.